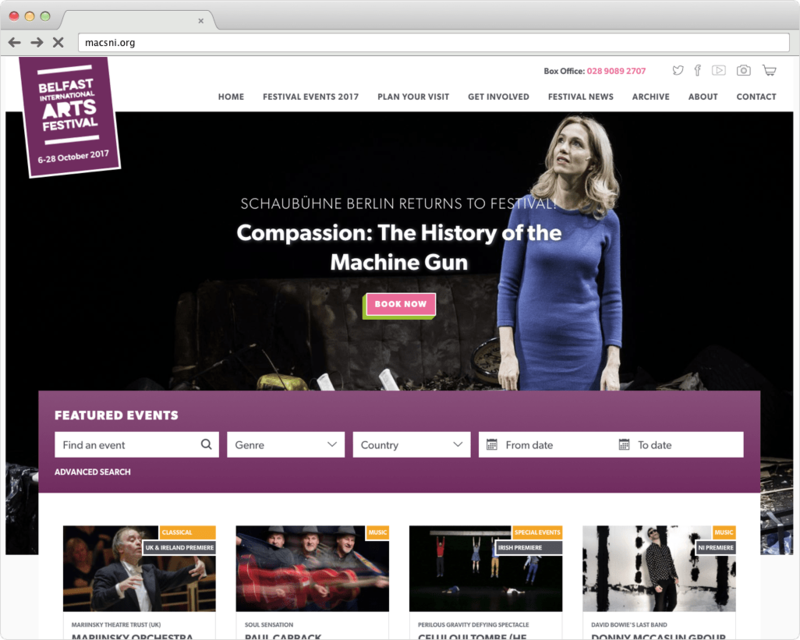 BIAF needed a website that reflects the new artistic vision of the independent organisation that took over ownership in 2015. The festival covers a wide genre and is accompanied by outreach and education events. 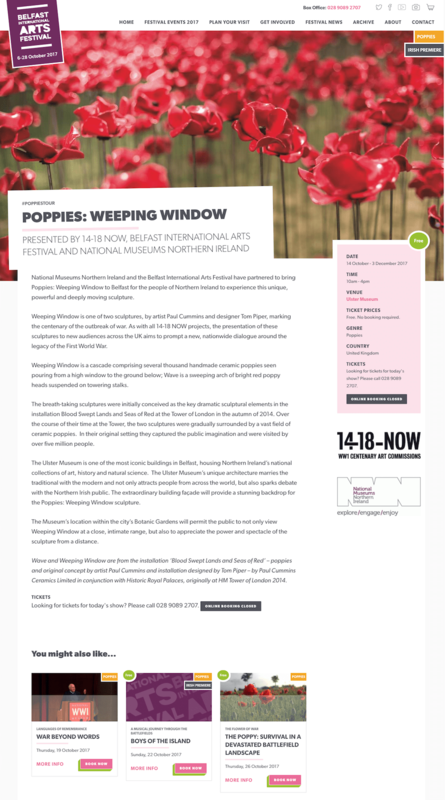 It takes place every October in venues and locations across Belfast. We are delighted with the website that Charlie designed for us. The project was awkward - redesigning a clunky website that didn't do us any favours and building a fabulous flexible website, in a short space of time. The site is practical and efficient, with simple, clear design and is easy for our staff to manage. It links seamlessly with our third party box office supplier and it is secure and accessible. Charlie is direct, efficient and honest. Her experience is evident and her knowledge of the customer journey is undeniable. She is easy to work with and I wouldn't hesitate to recommend her to another company.